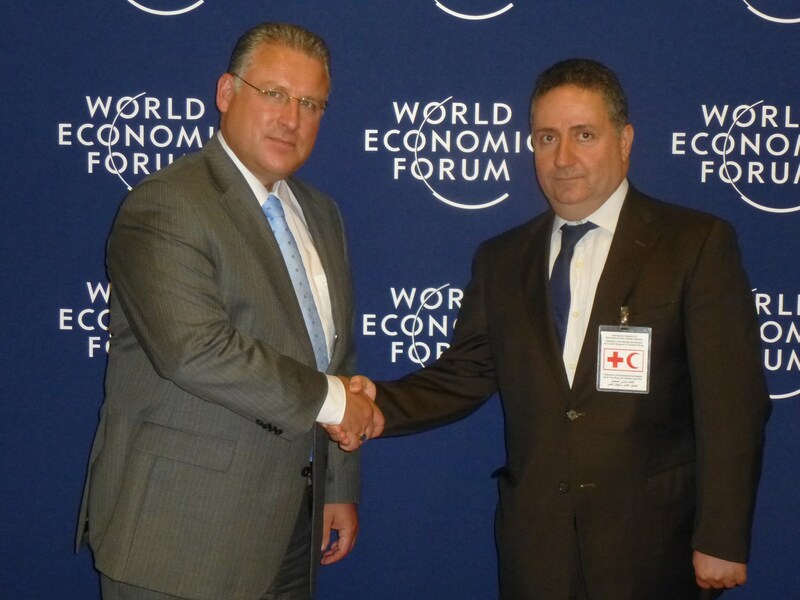 Dead Sea, Jordan – Royal Philips (NYSE: PHG, AEX: PHIA) today announced its support for the Jordan National Red Crescent Society, with a $100,000 USD donation, made at the World Economic Forum Middle East and North Africa in Dead Sea, Jordan. The donation made by Philips is a move to help improve the health and well-being of people in the region who live in situations where their physical condition is compromised due to conflict or natural disaster. Improving access to healthcare is a prevalent topic at this year’s World Economic Forum Middle East and North Africa. Philips also features in a panel discussion focused on addressing the topic of Investment in Healthcare in the region. With a rapidly growing population and rising incidence of chronic conditions, geographic dispersion of families, escalating healthcare costs, and provider shortages, the need for high-quality care at an affordable price is universal -- regardless of GDP, population density, or existing infrastructure. Ronald de Jong, Chief Markets Leader at Philips, presented the contribution, which was received by Dr. Mohammed Al-Hadid, former president of the of Jordan National Red Crescent Society and Chairman of the Standing Commission of the International Red Cross and Red Crescent movement to ease healthcare concerns for some members of the community who need it most. "Philips’ vision is to make the world healthier and more sustainable through innovation. To succeed, to genuinely make a difference in access to healthcare in the region, we need to blaze new trails with non-profit organizations and NGOs," said de Jong. 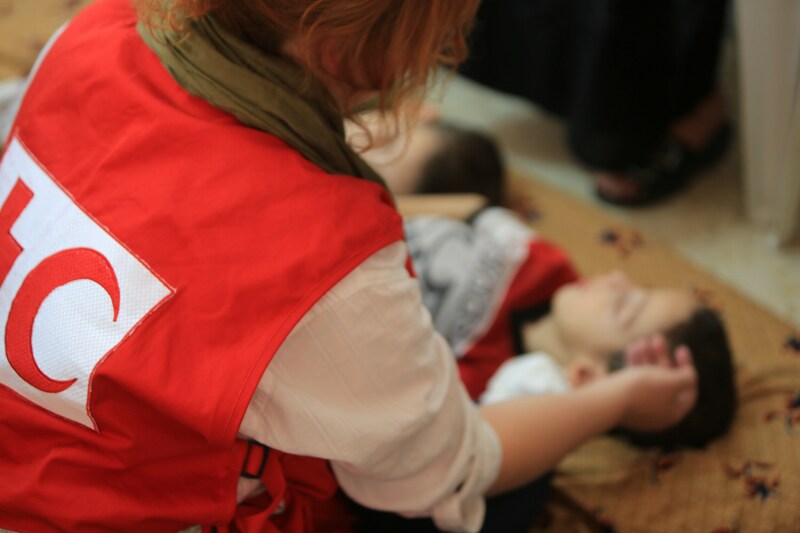 "Supporting The Jordanian Red Crescent is an important move to improving people’s health and well-being in the region. By enabling the organization to leverage their expertise on the ground, collaboratively, we can improve access to healthcare." "This is a donation that will greatly alleviate the suffering of victims of natural disasters and armed conflicts. Support from the business community is a key driver in enabling us to operate effectively and efficiently, improving the lives of those who need our help," said Dr. Mohammed Al-Hadid. "This initiative has shown us that Philips is socially responsible. Their commitment to making a difference in the wealth and health of the most vulnerable and its positive impact on the community is highly admired." Philips has a long history of building partnerships, working collaboratively with governments, NGOs and industry leaders to drive meaningful innovation and benefit the community. In the UAE, a joint collaboration between the Dubai Healthcare Authority and Philips resulted in free screenings for government employees using state-of-the-art mobile mammogram machine. The campaign aimed to educate women about the importance of self-examination and early detection. Similarly, Philips implemented a five-year program to provide breast cancer examinations to both rural and urban women in Egypt, screening over 106,000 women. Access to healthcare is a complicated problem that requires a multi-lateral approach among public and private organizations, and the World Economic Forum is an ideal platform to facilitate partnerships and share local and regional knowledge to improve its current status. Philips is dedicated to developing the future of healthcare and saving lives by improving patient outcomes, providing better value, and expanding access to care.